Early Bird Ticket with an autographed poster of the Illusions EP Artwork. 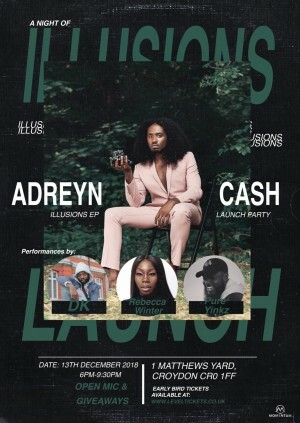 Londons most innovative up and coming independent artist celebrates the release of the highly anticipated EP "Illusions". Experience an artist in their most free authentic performance. There will be giveaways to lucky ticket buyers and a live performance from Adreyn himself. We are a talent agency representing live acts and pererformers.